It is rainy and gloomy today, but as I’ve been under the weather for the last couple of weeks it is a perfect day for me to stay home, watch vintage movies (I’m in the mood for something creepy and Vincent Pricey) and eat warm homemade soup. Combine all of the ingredients and purée in a blender. Heat the mixture in a pan and serve immediately. Garnish with asparagus tips and olive oil. 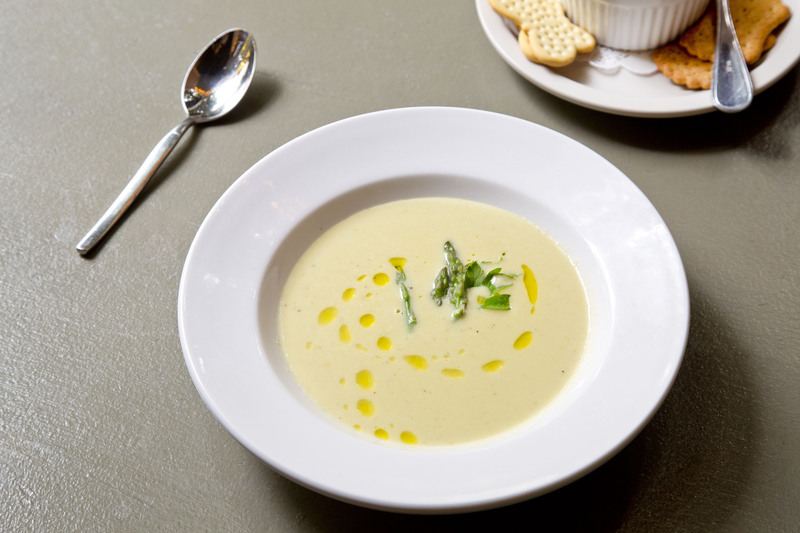 Categories: Recipe | Tags: alabama, asparagus, Asparagus Soup, cold weather, cream, D & L Bistro, eat local, harvest food, huntsville, onion, potato, sarah belanger, Violet Henri | Permalink. This soup looks delicate and lovely. It is spring here in New Zealand this is the first spring where I have started to like asparagus. I have been cooking with it and experimenting. I haven’t tried a soup yet though. 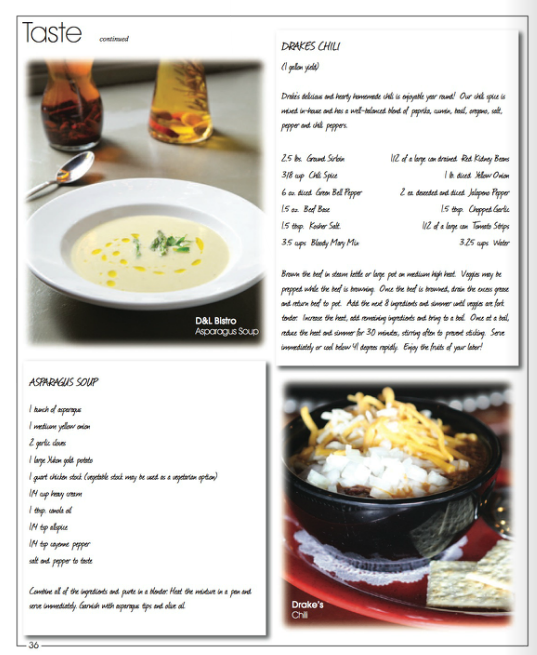 This soup looks great for spring or autumn. Actually this would probably be a great soup for spring as well. It is nice a light! I’d love to participate in Our Growing Edge!! I’ll will definitely check it out!! Thank-you! 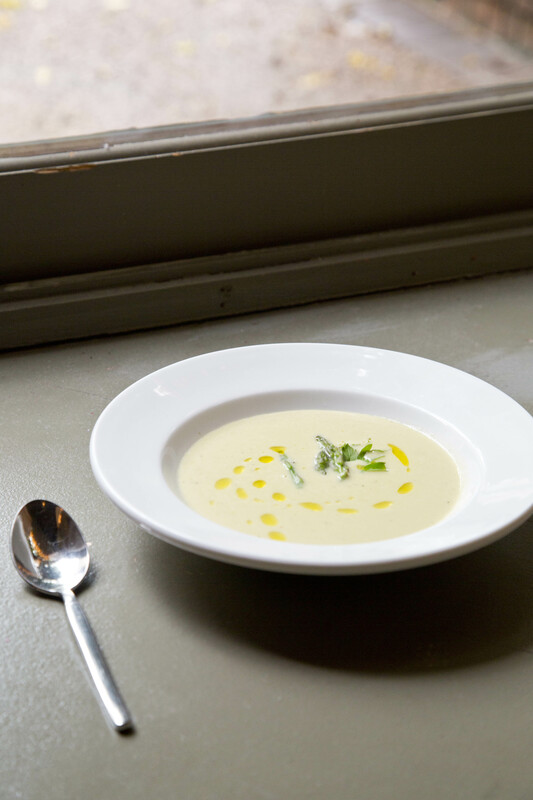 I adore soup and even though it is spring here in Sydney it is cold and grey – a perfect meal fro this weather. 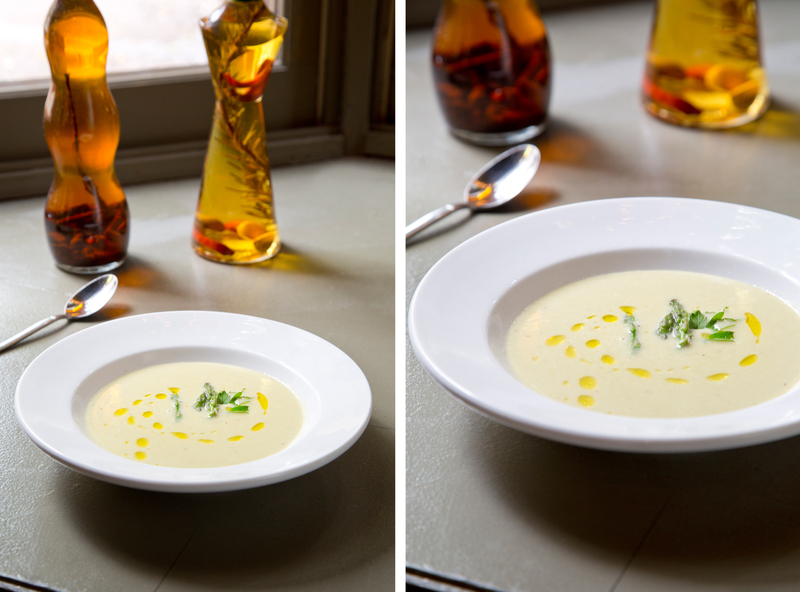 Spring is still a wonderful time for soup. Actually I love soup all year round! I do like a cold a grey day every now and then.